One of the most trusted riflescopes among deer hunters has now been reinvigorated with the all-new Buckmasters II riflescope series. The Buckmasters II series offers the brightness and clarity of Nikon's Fully Multicoated lenses, as well as the generous eye relief, 100-yards parallax setting and Nikon's popular BDC reticle. One of the most trusted riflescopes among deer hunters has now been reinvigorated with the all-new Buckmasters II riflescope series. The Buckmasters II series offers the brightness and clarity of Nikon&apos;s Fully Multicoated lenses, as well as the generous eye relief, 100-yards parallax setting and Nikon&apos;s popular BDC reticle. If you&apos;re passionate about hunting deer, the Buckmasters II is the right choice for your next hunt. Precise hand-turn 1/4-inch @ 100 yds. Positive-click adjustments get you zeroed in quicker and maintain your setting even with heavy recoil. The BDC reticle allows hunters to hold &apos;dead-on&apos; at ranges exceeding those previously thought possible. The BDC&apos;s unique see-through ballistic circles offer an incredible advantage for long range shooting, yet allow a normal sight picture for shorter-range shots where the cross hair itself is the aiming point. Positive-click reticle adjustments get you zeroed in quicker and maintain your setting, even with heavy recoil. 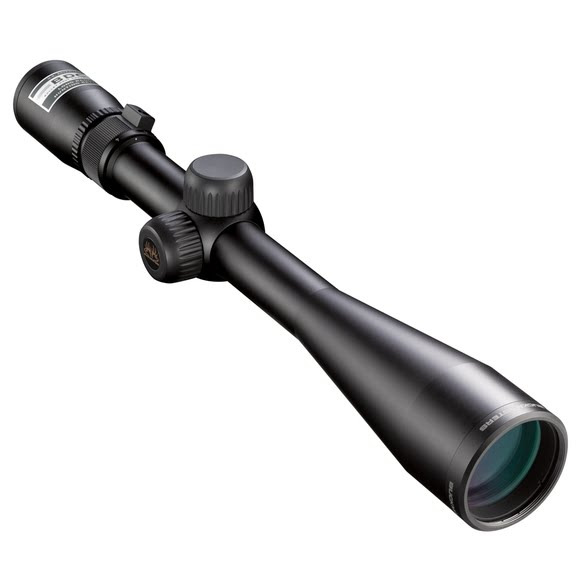 The BUCKMASTERS II, like all of Nikon&apos;s riflescopes, is optimized for use with Nikon Spot On Ballistic Match Technology. Spot On allows you to discover all of the exact aiming points on your scope&apos;s reticle at various yardages for your specific ammunition and load. Nikon riflescopes are covered by Nikon&apos;s Limited Lifetime Warranty. If any Nikon riflescope is found to have defects in workmanship or materials, we will, at our option, repair or replace it at no charge.